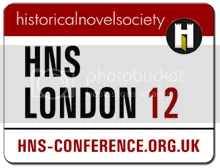 ← I LIKE the Historical Novel Society! I have just been reading an article in the Guardian about re-reading the books of childhood. For those of you out there approaching or exceeding my age I guess the article and the subject matter will quickly register. Those of a much younger persuasion may have to make the leap to your own childhood reading and re-read that to see if the comments hold true. The two particular authors referred to are Enid Blyton and Captain W.E. Johns. In a way, it is fortunate that because I am in Brazil at the moment and all my English belongings are packed away in boxes in England, I cannot check out what the author, Jeff Sparrow, is saying. Why, fortunate? Because I am not sure I WANT to be disappointed and mystified in the way he is suggesting. I am a liberal and have been a lifelong liberal – and a pretty radical one at that – so I have long “known” that the adult view prevailing is that both of the mentioned authors were not in the least liberal. In fact the consensus is that both were pretty illiberal and their stories contained much bigotry and racial stereotyping. Clearly, in my own case, I was subjected to other values which did not allow such stereotypes to become ossified in my brain – except to say, perhaps, that I would still respond positively to the fact that the Spitfire was probably the best plane ever invented; even though I am, and have been for as long as I can recall, a pacifist! My point here is that although I can see that one`s childhood reading can engender stereotypes, we perhaps need not always try to be perfectly politically correct in censoring such books – just ensure a balance is always available in terms of creating lasting human values. As some of you will know I enjoy an occasional good malt whisky, but I am reasonable sure such a liking was not caused in any way by the fact that Biggles downed a few in his books. I am sure of this in the same way that I do not litter my speech with lots of “By Jove”s. Jeff Sparrow makes the point that Biggles` “nervous high pitched laugh” and the whisky drinking was probably true to life experience of Captain Johns recognising what we would, these days, call a pilot who was suffering from post-traumatic stress. Sparrow goes on to say that in the later Biggles books the pilots now drank non-alcoholic, “wholesome lemonade”. Swiftly scanning back to my childhood self, I recall the Biggles book as “exciting” reads. So, I am not sure I want to be disappointed to find, for myself, the truth of what Sparrow says – “Suffice to say that some acquaintances are best not renewed. Johns – how to say this kindly? – is not a great writer.” He certainly sparked an imagination in me of what travelling by air might be like. I distinctly remember one occasion as a child of, perhaps 10 or so, sitting in my dad`s car, with a pal from nearby and we were flying over Africa for ages – I can still “see” the forests as they spun by below us. To give Sparrow credit, he quotes from another writer who looked back in a more academic fashion. Rudd makes a simple but persuasive argument – namely, that as children, we read in a quite different way to adults. And isn`t that a good job, too. So, let us celebrate it and move on. One little anecdote to add to this is a recollection of a much later visit to our house of another Liberal friend, Alistair, with his then girlfriend, later to become wife, who is German and was, therefore unfamiliar with the topic of our conversation. Alistair had found a Biggles book on our bookshelves and that generated a long discussion about our mutual childhood liking of everything Biggles. Alistair`s German girlfriend came into the room well after Alistair had put the book back on the shelf, but we were continuing the discussion of Biggles for quite a while. She sat listening with interest to our excitement but clearly not quite able to grasp its subject matter. This became obvious when, in a pause in the conversation, she asked, with all innocence… “By the way – what ARE biggles? ?” As you may imagine this reduced Alistair and I to helpless hysterical laughter and it was quite a while before either of us were able to breathe enough between gasps, actually to explain it was not a “what” but a “who”. Relating back to my recent post about happy moments – this was clearly one of those and will remain so until I die, or go Gaga! This entry was posted in Imagination. Bookmark the permalink.